Flat roofs can be an effective roof solution for many households, however, they require attention and maintenance over the years. 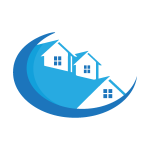 Our expert teams can handle flat roofs on houses, dormers, garages, and sheds. Our teams use the latest materials to keep properties dry and safe. Ponding can seriously damage a building with a flat roof. Regular maintenance will help your flat roof stay strong. If you are subject to any of these problems, the Glasgow Roofing Service’s expert lead specialists are equipped with the skills to help. We firmly believe we are the best possible company to deal with your slate and lead needs, with passion, skills and tradespeople at the ready we will ensure any minor slate or lead maintenance in Fife to vast roof repairs in Paisley are carried out professionally and affordably. Take a look below at some of our exceptional slate and lead repair and maintenance work in Edinburgh, Aberdeen and Fife. Unfortunately, felt roofs have had a bad reputation due to old traditional materials. Now, great changes have been made and modern hot flame felt roofs are extremely durable. They are applied in three layers; vapour control layer, a 2mm reinforced felt and a 4mm felt cap sheet. 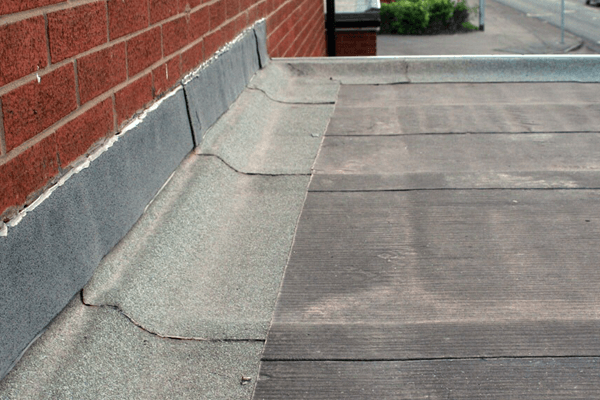 The cap sheets supplied by the Glasgow Roofing Service come in a variety of colours and finishes to suit your taste.Felt flat roofs are the cheapest option and if properly maintained, your felt roof could last up to thirty years making them a sound investment for your property. You should never attempt to install a hot flame felt roof yourself, as this can be extremely dangerous, all our skilled tradesman carry the correct insurance and skills needed to install flat roofs to the highest standard. This type of flat roofing is relatively new in the UK but has proven extremely popular since their introduction. They are proving so popular as they can be installed in one layer, avoiding the need for joins. Not only are EPDM and rubber roofs easy to install, they are extremely lightweight while remaining durable and tough. Rubber roofs have a longer lifespan than other types of flat roofs, and a well-installed one can last up to 50 years. Rubber roofs avoid damage as they are very tough though there have been incidents where birds have pecked damage in them due to food being thrown up for them to eat. As a precautionary measure, we ask that any clients avoid bird feeding near EPDM and rubber roofs! Rubber roofs are easily repaired, the Glasgow Roofing Service can mend any outstanding roof repairs in Scotland quickly and efficiently. Fiberglass roofs have been available in the UK for over twenty years but have not grown in popularity until recently; when they were first introduced they were poorly installed by inexperienced roofers leading them to have a bad reputation. At the Glasgow Roofing Service, all our specialist tradesmen and Glasgow roofers are highly qualified and guarantee all work undertaken is completed to an exacting standard. Fiberglass flat roofs can be laid in a single or double layer with no joints needed, meaning this type of installation is ideal for more complicated roof shapes. Fibreglass flat roofs are made of a single ply GRP laminate consisting of roofing resin and chopped strand mat reinforcement applied over a high-quality deck. Fiberglass flat roofs trims and finishes are available through factories in any colour you can imagine. These types of flat roof finishes are ideal for those with a more adventures streak. 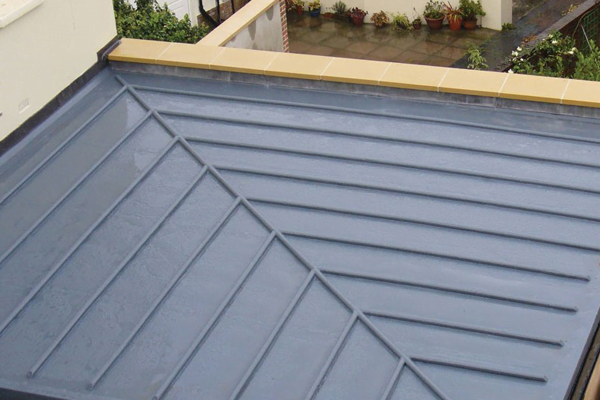 Most fibreglass flat roofs have a life span of about 25 years and resist damage extremely well, they are ideal for more complex roof shapes and fibreglass roofs can be coated a non-slip resin to provide safe foot traffic for balconies. 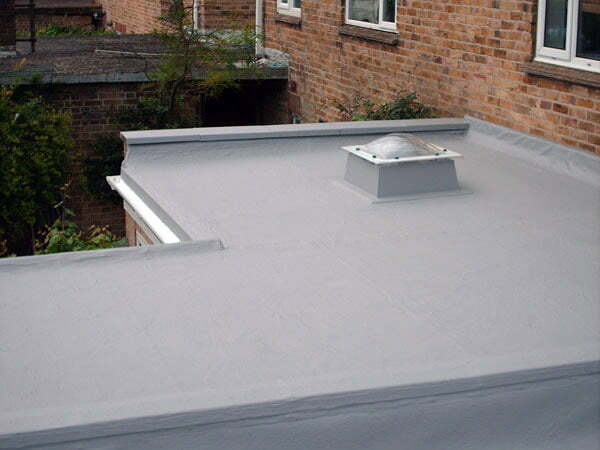 Fibreglass roofs do not breathe particularly well, so if condensation has been a problem for your property in the past, this is something to consider when choosing your flat roof material. Your skilled Glasgow Roofing Service tradesman will be able to answer any questions you may have about what roofing material is right for you. Mastic asphalt is the mixture of limestone and bitumen; it’s most commonly used as a hardwearing and waterproof surface for flat roofs and balconies in Scotland. It’s applied as a molten liquid but sets quickly. Mastic asphalt roofs can last up to 50 years, making this material a great investment for longevity, and due to its tough nature can withstand any roof traffic on commercial buildings and balconies. Once mastic asphalt was only available in grey, though now it can come in a multitude of shades to suit your needs, not only is this aesthetically pleasing but choosing lighter colours will help regulate the interior temperature of the property. Maintaining the health of your flat roof can save on costly repairs later down the line. An inspection or consultation by our expert team at the Glasgow Roofing Service can investigate and answer any questions or concerns you have regarding your existing flat roof or future plans to build with our expert knowledge and skills. Take a look at an example of a commercial flat roof we installed for New College Lanarkshire.